As seen on 9to5mac, Apple stores around the world will be getting a touch of magic. Apple will be celebrating this holiday season with a front Apple Store window display that has been described by several Apple store retail employees as spectacular. A photo of the display was received from a source by 9to5mac. The front window display highlights both the iPad Air and iPhone 5c. It’s made up of several LED lights shaped into snow flakes. Its a fascinating and very unique design. The displays will be going up through out the world later this week and will stay up until early January. Apple was not kidding when they said they had a lot more to cover. 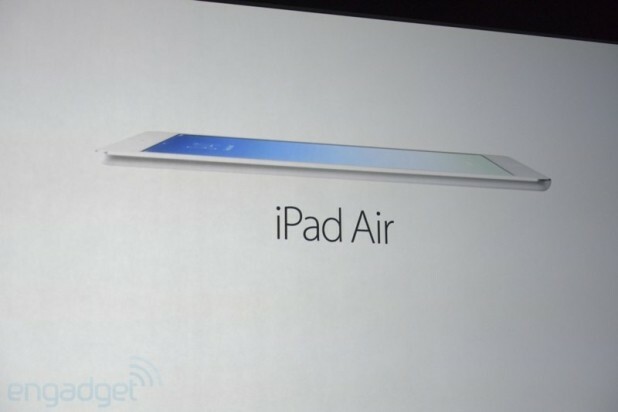 Yesterday at their launch event in San Francisco Apple unveiled their new iPad called the iPad Air. This sleek new piece of technology weighs in at only 1 pound! its thinner, lighter and much more power than the previous models. It boasts a 43-percent thinner bezel and a 20-percent thinner profile; it’s just 7.5mm thick! The New iPad Air comes equip with a 9.7-inch Retina display, a 64-bit architecture with more than 1 billion transistors. There’s an A7 processor under the hood along with an M7 motion chip. Along with all these advancements under the hood, the new iPad Air has a 5-megapixel iSight camera that is capable of shooting 1080p video. The FaceTime camera on the front includes “larger pixels” and a backside-illuminated sensor for better image quality. Finally, as many people were quick to point out, the New iPad does not come with a Touch ID fingerprint sensor as seen on the iPhone 5s. The New iPad Air will ship on November 1st to several countries, including the US, UK, China and Japan. Its price starts at $499. When the new tablet is finally available you will have your choice of silver, white, grey and black color options. Stayed tuned for more updates. We’ll have a hands on video coming soon.